This report is part of the investigations carried out by the “Justice, Peace and Integrity of Creation Desk” of the Evangelical Christian Church in Papua (Gereja Kristen Injili di Tanah Papua (GKI), into the shootings in the Yapen Island village of Wanampompi on December 1, 2015, and also sever beatings on indigenous Papuan people of the Oyehe tribe near Nabire. The Nabire report will be published shortly. On December 1, 2015, between 03: 00 AM and 07: 30, Erick Manitori with his friends held prayers and raised the banned independence Morning Star flag in front of his own house in Wanampompi Village, Serui, Yapen. After the flag-raising ceremony Erik Manitori and his friends then rested at his house. Around 8 am, a joint taskforce of Army and Police came to Erik and friend at his house, and executed by gunfire four people without warning. Erik Manitori, Yonas Manitori, Darius Andiribi, and Julian Robaha all died instantly and 8 others suffered gunshot wounds. The joint military-police taskforce came to Erik’s house, using two Estrada cars, one Avanza car, and one Dalmas Riot Police truck. The Joint force had stopped near the street and shouted to Eric to meet with them. Erik and some of his friends came up to meet the joint force, but within 15-20 distance from the main street, about 50 meters from the flagpole, Erik and his friends were shot without warning by the combined forces. Two people were shot dead on the spot, namely, Yonas Manitori ( The Younger brother of Erik Manitori) and Darius Andiribi. Erik Manitori and Yulianus Robaha were shot in the legs and then dragged into the police truck, whereupon they were taken to the Serui Regional General Hospital ER ( Emeregency Room). On the way to the hospital, the two men were tortured to death. Erik Manitori’s belly was cut open, and with a bayonet he was disembowelled, and his hands and feet were also broken. The two men were unable to be saved at Serui Hospital’s emergency room, and died soon after arrival. This incident occurred with all victims being unarmed. Eight other villagers were seriously injured by gunshot, beating and torture, but the Wanampompi villagers managed to helped the victims back to the village and were evacuated to the Randawaya Serui general hospital by civilian ambulance and truck. The victim’s condition improved after they were evacuated off the Island to General Hospital Biak. One of the victims, Toni Runaweri, still has a bullet lodged in his skull, and is awaiting transfer for a specialist operation by surgeons in Makassar. Agus Manitori, Injured, Wound on left hand and left thigh, gunshot to left and right calves. 9. (top) Erik Manitori Died, tortured and gunshot wounds, his stomach was torn and disembowelled with bayonet. Nabire based human rights activist Gunawan Inggeruhi has stated that an oil palm company managed by PT New Nabire and PT SAD, has caused uneasiness amongst citizens of Wami and Sima, Yaur district, in Nabire region. Citizens in this area have been falsely and maliciously stigmatised by the companies as being suspected OPM (Free Papua Movement) members or activists, with the result that they are constantly made frightened and anxious by security forces. “It is not only (waropen) who has experienced such stigmatisation from BRIMOB who are acting as the protectors of that oil palm company,” Gunawan Inggeruhi told me. He described how most observers perceive that the actions of the Police and the Companies “are themselves making anarchy and intentionally killing the freedom of the people,” and creating fear amongst the people, even arresting and imprisoning them. “If we go to that location BRIMOB chase us and spy on us all the way along that road.” Inggeruhi said that even himself had been chased and spied on in that area. He is urging the Papuan Police to immediately withdraw their BRIMOB forces from the area of the oil palm companies, and called that the oil palm plantations of PT Nabire Baru in Wami, and PT SAD Perkasa in Sima in the Yaur District of Nabire should cease immediately. The Writer is a pastoral worker in the diocese of Timika, Papua. 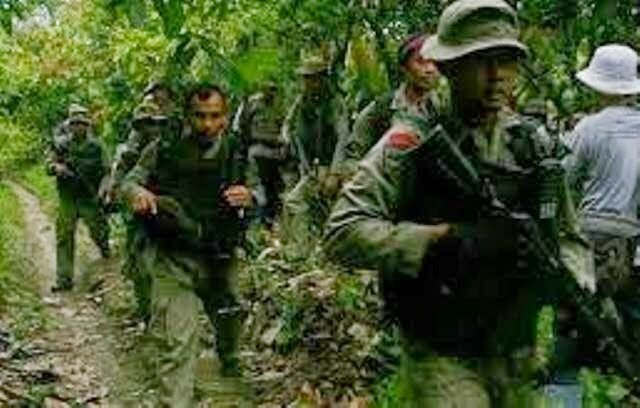 Jayapura, Jubi – Melianus Duwitau, a student from Intan Jaya, accused a number of Brimob personnel from Destatemen C Biak serving in Intan Jaya District, of attacking 15 students while opening fire at Sugapa, Intan Jaya capital. “There were bruises on the forehead, head injuries, and a broken jaw as a result of beatings with rifle butts. Two people, Venus Sondegau and Victor Belau are now being treated at Sugapa hospital,” he said via a short message to the Jubi from Sugapa on Monday (17/8/2015 ). No reports have been received of any students sustaining injuries from gunfire, which is believed to have been warning shots. He explained the incident occurred about 12:00 after the ceremony of Independence Day in the Sogopaki field. He said the incident began at 11:30 when students wanted to block the airport so that the local officials would not leave Intan Jaya after the ceremony. “Students wanted to block the airport because the local officials often fly to Nabire and other cities out of town,” he added. 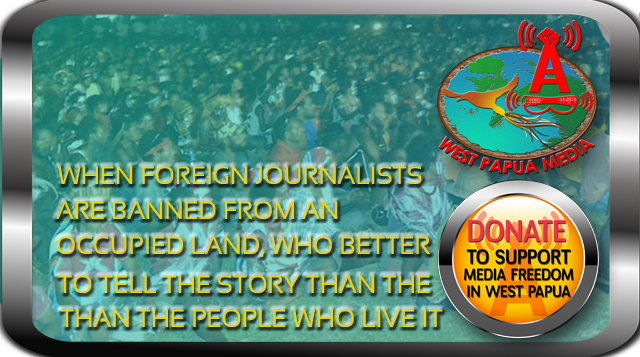 Dominikus Surabut, a Papuan activist, said such events actually should not have happened. If that happens, there is the impression that the state apparatus take people’s money out of the town for their benefits.